FAQ: Will this six-month plan help me score over 700? This plan contains a tremendous amount of instructional material and over 2500 high quality practice questions! Also, by studying for six months, giving your brain all that time to learn and assimilate, you are giving yourself a huge advantage! If you follow all parts of this plan diligently, you definitely will encounter all the information you will need for an elite score: it all will pass before your eyes. How well you do will depend on everything you bring: how quickly you learn, how deeply you remember, how well you assimilate and integrate, how astutely you discern connections and patterns, how diligent you are, how conscientious you are, and how dedicated you are. If you are truly committed to getting an excellent score, then read this blog with the utmost of attention and care. Do you need to adapt this study schedule to meet your needs? Check out this blog post for adjustment tips! Do you have less than 6 months to prepare? Check out our 1-month GMAT schedule or 2-3 month study guide! Still don’t see a study guide that fits your needs? Check out our complete list of GMAT study guides here! 4) The GMATPrep software, a free download from mba.com. I recommend downloading this and making sure it runs on your computer before Week Twenty-One, when you will need it. NOTE: repeated exposure to new material, sustained over time, encodes the material into long term memory. This is precisely the value of flashcards. Throughout this plan, I will have you use the cards, never very long at once, but consistently. That consistency is the key to their effectiveness. 11) Two volumes of the GMAC’s released GMATs, the “Paper Test Books” (Test 1 and Test 2). Buy the third set if you would like even more practice. 15) Outside reading material: You may already have a habit of reading. Since you are planning to pursue a career in business, it would be good to get well informed about that world, if you have not be reading about it already. While you don’t need to be an expert, it’s important for the GMAT to have a general sense of the business world. If you are a non-native English speaker, it is absolutely crucial that you develop a habit of reading. For a non-native speaker struggling with the Verbal section, I would strongly recommend reading for at least an hour a day every day, an hour over and above any GMAT-specific preparations. 16) A good 1-2 hours a day, for five days a week, and then a good 3-4 stint on the weekend (“Day Six”) — with a day off on the weekend as well. If you would rather free up some week nights, and move some of the material into the other weekend day, you are welcome to do that. Note: Many folks find that each day’s assignments take 1-2 hours, although times to complete them will vary for different students. This is a twenty-four week plan. Six calendar months are typically closer to 26 weeks, so if you actually have six calendar months to prepare, that’s great. If you have a wedding or a camping trip or something in the middle, you could just skip a week, and do it later. Alternately, following the plan straight through would leave you more time for the concentrated review I recommend at the end of the twenty-four weeks. This plan assumes about 2 hours of prep on five weekdays, and it specifies a special “Day Six” assignment, typically a longer activity, such as a practice GMAT. The “Day Six” assignments are lighter toward the beginning of the schedule, and by the end of the schedule you will be doing a full-length GMAT every Day Six. Please feel empowered to rearrange this as best suits your needs: if you want to move more work to the weekends to free up some weeknight evenings, or if you can do a couple full days of work during the week, please feel free to rearrange the week’s work in whatever way makes the most sense for you. Also, as much as possible, get enough sleep during this six month period. REM sleep plays an important role in encoding long term memory, and in an eight hour period of sleep, the last hour has the most REM. If you are getting 7 hours/night instead of 8 hours/night, you are depriving your brain of one of its most powerful systems for learning and remembering. Caffeine and energy drinks will keep you feeling awake if you don’t get enough sleep, but they don’t do bupkis to replace the lost opportunity to encode more information into long term memory. NOTE: You jump right in during this first week. Spread out the problems and video watching throughout the week in whatever way works best for you. 2) Take the OG Diagnostic Test, found toward the beginning of the OG. Grade it the same day, but go over the explanations the next day. For questions you got right, simply skim the explanation to verify that you go the question right for the right reason. If you got the question wrong, read the explanation carefully, writing in your journal any math/verbal concept you didn’t know or understand, as well as anything about the question type that you didn’t understand. (That may take a couple days if you got a lot wrong.) Don’t worry if you get many of these questions incorrect: wrestling with some advanced ideas a little at the beginning will prime your mind to learn the ideas more deeply when they are covered in the lessons. 3) Take the Magoosh GMAT Diagnostic Test and, after that, read the Diagnostic Recommendations blog. 4) To get a sense of the layout of the test, in the OG, skim or read the introductory sections to Problem Solving, Data Sufficiency, Reading Comprehension, Critical Reasoning, and Sentence Correction. 5) In the OG, read the Math Review, taking notes in your journal on anything new, rusty, or unfamiliar. If math is your strength, you can probably just skim these pages, getting a sense of what the range of GMAT math is. If math is not your thing, this may take some time. NOTE: The information in the Magoosh videos may be review for you, or childishly easy for you, or very challenging brand new information for you. Some folks will find the verbal information obvious and the math hard-going, and other folks will have the reverse experience. If the material is relatively easy for you, feel free to click to the end and simply read the summary. If the material is new to you, take notes on what you are learning in your journal, and if possible, watch that video a second time. NOTE: As soon as you do a batch of OG questions, correct them right away, and look the explanations. If you got the question right, you need only skim the explanation to verify that you got it right for the right reason. If you got the question wrong, read the explanation and take notes in your journal on what concepts or what aspect of the question you need to understand better. Note that not all the OG explanations are of high quality, and some are not good at all. As an alternative, for all the questions in the OG, you can see much better explanations in our video solutions. NOTE: After each Magoosh question is a video explanation. If you got the question right, just skim the text summary of the video to verify you understand it. If you got the question wrong, watch the video explanation right away. If you don’t understand any given question after the explanation, post it in the forums seeking an explanation, or email us at Magoosh. 9) In the Magoosh GMAT Math Flashcards, review the cards in the first deck, the Algebra deck. Spend about 5-10 minutes a day each day with these cards. Today, you will focus on the AWA section. NOTE: As you get to the end of modules, take the quiz at the end of the module. If you don’t pass the quiz, then review and keep taking it until you pass. 4) In the Magoosh GMAT Math Flashcards, review the cards in the second deck, the Fraction, Ratios, and Percents deck. Spend about 5-10 minutes a day each day with the cards from this deck and the previous deck. NOTE: After this first introductory MGMAT volume, you will start moving through volumes that cover the math & verbal concept in a different order and a different way than those of Magoosh, and this is helpful for learning. If you can understand two very different ways of talking about the same concept, then you understand it very deeply. 6) Outside Reading: do half an hour of reading each day, sophisticated reading of your own choosing. Keep in mind the recommendations made above. NOTE: if you are a non-native English speaker who is considerably weaker in Verbal than in math, I would strongly suggest reading for an hour each day. 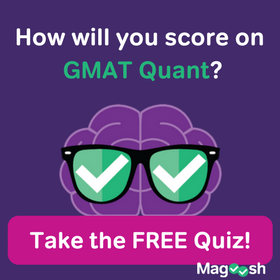 1) Read the entire Magoosh GMAT eBook. Much of this may be review at this point. 2) Read the entire Magoosh IR eBook. Whatever system you chose for getting feedback on your essay, continue with that. Because there are dozens of different ways one might choose to implement the recommendations of these four “stress reduction” blogs, this schedule does not itemize any specific tasks along these lines. Nevertheless, insofar as you can practice at least some of these habit consistently over the next six months, you will be very good shape to handle the anxiety of test day. 4) In the Magoosh GMAT Math Flashcards, review the cards in the third deck, Geometry deck. Spend about 5-10 minutes a day each day with the cards from this deck and the previous decks. 2 In the Magoosh GMAT Idiom Flashcards, review the cards in the first deck, the Basic I deck. Review any cards from this deck that you don’t know well. 4) In the Magoosh GMAT Math Flashcards, review the cards in the fourth deck, Number Properties I deck. Spend about 10 minutes a day each day reviewing cards that you haven’t mastered from this deck and the previous math & idiom decks. Do any practice problems that appear in the course of the chapters you read. 2 In the Magoosh GMAT Idiom Flashcards, review the cards in the second deck, the Basic II deck. Review any cards from this deck and the previous deck that you don’t know well. 4) In the Magoosh GMAT Math Flashcards, review the cards in the fifth deck, Number Properties II deck. Spend about 10 minutes a day each day reviewing cards that you haven’t mastered from this deck and the previous math & idiom decks. 4) In the Magoosh GMAT Math Flashcards, review the cards in the sixth deck, Statistics and Probability deck. Spend about 10 minutes a day each day reviewing cards that you haven’t mastered from this deck and the previous math & idiom decks. In Volume 1: Fractions, Decimals, & Percents, read Chapters 1-4. Take some time to do a thorough review of any Idiom flashcards and any math flashcards that you haven’t mastered yet. 4) In the Magoosh GMAT Math Flashcards, review the cards in the seventh deck, Mixed Review I deck. Spend about 10 minutes a day each day reviewing cards that you haven’t mastered from this deck and the previous math & idiom decks. In Volume 1: Fractions, Decimals, & Percents, read Chapters 5-9. Skim the appendix on Data Sufficiency: most of that will be review at this point. 2) In the Magoosh GMAT Idiom Flashcards, review the cards in the third deck, the Advanced I deck. Do a thorough review of any cards from this deck and the previous decks that you don’t know well. 4) In the Magoosh GMAT Math Flashcards, review the cards in the eighth deck, Mixed Review II deck. Spend about 10 minutes a day each day reviewing cards that you haven’t mastered from this deck and the previous math & idiom decks. In Volume 8: Sentence Correction, read Chapters 1-5. Take one of the practice GMATs from the GMAC “Paper Test” volumes. Go through the answers after you are done, taking notes in your journal on anything you got wrong. If you can’t figure out why you got the question wrong, or can’t figure out the correct solution, post the question in one of the online forums, or ask us at Magoosh. For the two essay questions, you can skip the “Analyze an Issue” essay, and just do the “Analyze an Argument” essay. Do not write the essay on paper. Take 30 minutes to write the essay in a word processing program. This essay you will either share with a trusted friend or mentor, or post in the online forums asking for feedback. At this early stage of practice, it is not as important to mimic the real GMAT conditions. Pay attention to how well you maintain focus within each section. For now, feel free to take either short or long breaks between sections. Note your energy level during different sections, and how this affects your concentration. Write any observations in your journal. 4) In the Magoosh GMAT Math Flashcards, review the cards in the ninth deck, Mixed Review III deck. Spend about 10 minutes a day each day reviewing cards that you haven’t mastered from this deck and the previous math & idiom decks. In Volume 8: Sentence Correction, read Chapters 6-10. 2) In the Magoosh GMAT Idiom Flashcards, review the cards in the fourth deck, the Advanced II deck. Do a thorough review of any cards from this deck and the previous decks that you don’t know well. 4) In the Magoosh GMAT Math Flashcards, review the cards in the tenth deck, Mixed Review IV deck. Spend about 10 minutes a day each day reviewing cards that you haven’t mastered from this deck and the previous math & idiom decks. In Volume 8: Sentence Correction, read Chapters 11-12; look through Appendix A, “Idioms,” making note of any idioms you haven’t already learned; skim through Appendix B, “Glossary,” verifying that you are familiar with the formal grammar terms. In Volume 5: Number Properties, read Chapter 1. Take another one of the practice GMATs from the GMAC “Paper Test” volumes. Go through the answers after you are done, taking notes in your journal on anything you got wrong. If you can’t figure out why you got the question wrong, or can’t figure out the correct solution, post the question in one of the online forums, or ask us at Magoosh. 4) In the Magoosh GMAT Math Flashcards, review the cards in the eleventh deck, Mixed Review V deck. Spend about 10 minutes a day each day reviewing cards that you haven’t mastered from this deck and the previous math & idiom decks. In Volume 5: Number Properties, read Chapters 2-6. Take the first full length GMAT CAT on the MGMAT website. Go through the entire solution after you are done, taking notes in your journal on anything you got wrong. Unlike the paper tests, this computer-based GMAT use Computer Adaptive Testing, so we recommend that you treat the computer-based GMATs more formally. This will be your first experience of sitting for a full formal GMAT. 1) In Magoosh, watch the remaining videos in Math & Verbal. If you have been following the pace of this plan, you should watch about the same numbers of videos this week and finish the entire library of video lessons. 4) In the Magoosh GMAT Math Flashcards, review the cards in the twelfth deck, Mixed Review VI deck. Spend about 10 minutes a day each day reviewing cards that you haven’t mastered from this deck and the previous math & idiom decks. In Volume 5: Number Properties, read Chapter 7. In Volume 6: Critical Reasoning, read Chapters 1-4. This is too early in your preparation for you to experience the stress of a formal GMAT practice test every weekend. We will continue to treat paper-based test as less formal, less stressful experiences, because there is not an issue of the CAT in these tests. The point of these paper-based tests is to get practice with high quality questions and to get a feel for managing time within individual question types. On the paper-based test, it is not as important to mimic the real GMAT conditions. Pay attention to how well you maintain focus within each section. For now, feel free to take either short or long breaks between sections. Note your energy level during different sections, and how this affects your concentration. Write any observations in your journal. NOTE: At this point, exactly halfway through this schedule, you should have seen each Magoosh lesson once. In the second half of the plan, we assign every video again. If you feel that you already understand a video and don’t need to see it in full a second time, simply click ahead to the summary screen to remind yourself of what is covered in that video. Watch carefully any topics on which you are not perfectly clear, and take diligent notes on what you did not fully understand the first time you watched the video. Remember that understanding comes in several stages: always push yourself to reach a deeper understanding with each and every topic. *If you are using the OG2015 or the OG13, do just one RC passage this week. 4) Review all your flashcards. Spend about 10 minutes a day each day reviewing cards that you haven’t mastered from the Magoosh GMAT Math Flashcards and the Magoosh GMAT Idiom Flashcards. In Volume 6: Critical Reasoning, read Chapters 5-8. In Volume 4: Geometry, read Chapter 1. 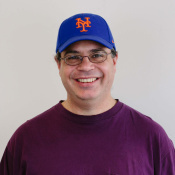 1) Go back to http://manhattangmat.com/access.cfm. Take the next full length GMAT CAT on the MGMAT website. Go through the entire solution after you are done, taking notes in your journal on anything you got wrong. NOTE: do not feel compelled to take the lessons quizzes the second time through, unless you really feel you need practice on that module. NOTE: At this point, you should finish up the question in the GMAT Official Guide. In Volume 4: Geometry, read Chapters 2-6. This is too early in your preparation for you to experience the stress of a formal practice test every weekend. We will continue to treat paper-based test as less formal, less stressful experiences, because there is not an issue of the CAT in these tests. The point of these paper-based tests is to get practice with high quality questions and to get a feel for managing time within individual question types. NOTE: Now that you are done with the GMAT Official Guide, you will get official practice questions from these two books for the remainder of the study plan. 5) Review all your flashcards. Spend about 10 minutes a day each day reviewing cards that you haven’t mastered from the Magoosh GMAT Math Flashcards and the Magoosh GMAT Idiom Flashcards. In Volume 4: Geometry, read Chapter 7. In Volume 7: Reading Comprehension, read Chapters 1-4. 7) Outside Reading: do half an hour of reading each day, sophisticated reading of your own choosing. Keep in mind the recommendations made above. In Volume 7: Reading Comprehension, read Chapters 5-6. In Volume 2: Algebra, read Chapters 1-3. We will continue to treat paper-based test as less formal, less stressful experiences, because there is not an issue of the CAT in these tests. The point of these paper-based tests is to get practice with high quality questions and to get a feel for managing time within individual question types. In Volume 2: Algebra, read Chapters 4-8. In Volume 2: Algebra, read Chapters 9-13. Take the last practice GMATs from the GMAC “Paper Test” volumes. Go through the answers after you are done, taking notes in your journal on anything you got wrong. If you can’t figure out why you got the question wrong, or can’t figure out the correct solution, post the question in one of the online forums, or ask us at Magoosh. This is the last Day Six with an informal paper-based GMAT. After this, it’s a sprint to the finish line: every Day Six will have a formal on-the-computer GMAT CAT. 4) In the Magoosh questions: At this point, you should be close to finishing up all the questions within Magoosh. Each week, continue to practice about 25 math questions and about 15 verbal questions. Within each question type, your first priority should be to finish off any remaining unanswered questions; your second priority should be to re-answer any questions you got “incorrect.” If, when answering previous incorrect questions, you get the vast majority of them correct on the second time, then the supply of “incorrect” questions will dwindle. When you have run out or almost run of incorrect questions in each question format, math and verbal, then you can reset your statistics, and start re-answering questions in an adaptive format. Many students have found that seeing questions more than once really deepens their understanding. In Volume 3: Word Problems, read Chapters 1-5. 4) In the Magoosh questions: Each week, continue to practice about 25 math questions and about 15 verbal questions. Within each question type, your first priority should be to finish off any remaining unanswered questions; your second priority should be to re-answer any questions you got “incorrect.” If, when answering previous incorrect questions, you get the vast majority of them correct on the second time, then the supply of “incorrect” questions will dwindle. When you have run out or almost run of incorrect questions in each question format, math and verbal, then you can reset your statistics, and start re-answering questions in an adaptive format. In Volume 3: Word Problems, read Chapters 6-10. NOTE: When you finish this volume, you should have read every chapter of the MGMAT 10-volume set. Take the last full length GMAT CAT on the MGMAT website. Go through the entire solution after you are done, taking notes in your journal on anything you got wrong. Re-read any five chapters from the set, either all five from a single volume, or five different chapters from multiple volumes. Review whatever you think you need to review. The free GMATPrep software comes with two tests, each of which you can take twice. These practices tests are made by GMAC itself, so these are the closest practice experience you can have to the real GMAT. You need to treat these with the same level of seriousness as you will bring to the real GMAT. Take a full length GMAT on the GMATPrep software. Go through the entire solution after you are done, taking notes in your journal on anything you got wrong. For the essay you have written in the software, copy the essay into a word processing program. This essay you will either share with a trusted friend or mentor, or post in the online forums asking for feedback. 4) In the Magoosh questions: Each week, continue to practice about 25 math questions and about 15 verbal questions. When you have run out or almost run of incorrect questions in each question format, math and verbal, then you can reset your statistics, and start re-answering questions in an adaptive format. Take another full length GMAT from the first test in the GMATPrep software. Go through the entire solution after you are done, taking notes in your journal on anything you got wrong. *If you are using the earlier edition, the OG Verbal Review 2014, then do only one RC passage this week. Take another full length GMAT, the first from the second test in the GMATPrep software. Go through the entire solution after you are done, taking notes in your journal on anything you got wrong. As much as possible, try to make all the conditions as GMAT-like as possible for this test. Give yourself relatively short breaks in between sections. Only eat the kinds of snacks that you are planning to bring to the real GMAT. Note how your sleep the night before affects your work. Note how what you had for dinner the previous night and what you had to eat earlier that day affects your energy level and concentration. Write any observations in your journal. 1) In Magoosh, watch the remaining videos in Math & Verbal. If you have been following the pace of this plan, you should watch about the same numbers of videos this week and finish the entire library of video lessons for the second time. NOTE: if you have followed the schedule diligently, you should finish both of these books this week. Take another full length GMAT, the second from the second test in the GMATPrep software. Go through the entire solution after you are done, taking notes in your journal on anything you got wrong. 2) Through selecting question type & difficulty on the “Dashboard”, do Magoosh problems over again, and see how you do a second or third time. 3) Keep up the outside reading. 4) Keep watching for a third time 15 Magoosh lesson videos a week, on whatever topics you feel you need to review. 5) Keep studying cards that you haven’t mastered from the Magoosh GMAT Math Flashcards and the Magoosh GMAT Idiom Flashcards. 6) Keep going back to the MGMAT books, to review topics about which you are still not sure. 7) Go to the online forums, looking for challenging questions that folks are asking. 8) If you feel you need it, devote one more evening to writing another practice essay, from the topics listed in the OG. 9) If you have more weekend days before the real GMAT, you could buy a book of 3 released paper versions of the GMAT from GMAC, and devote a weekend day to each one. Also, you could get access to more GMATPrep tests by purchasing Exam Pack 1 and Question Pack 1. I took this six month learning scheme as the basis of my study. I have the subscription for magoosh and the guides (OG and Manhattan too). As I made already a couple of exercises and practice test I recognise that Quant is far worth than Verbal. In Quant especially DS but I also need to revise a couple of issue on PS too. I am planning to take the GMAT exam end of March (four and half month roughly). I made myself time for the preparation so I can ideally spend more than 3-4 hours daily till than. -Should I try to squeeze the 6 month scheme into this 4,5 month prep or better do a Quant focused 3 month one and than push and push the resting 1,5 with the problematic parts? I experience in the beginning of the preparation of the 6 month that I have serious gaps in math so some explanation doesn’t even clear which is frustrating for the moment. I know this may boil down to semantics, and mileage may vary person to person in terms of time to complete the work, but in one section the plan outlines 1-2 hours per day, and in another section the plan outlines 2-3 hours per day. Which one of these timeframes was intended to be the baseline? That appears to be an error on our part, and I’ll let our content team know about it. I think that 1-2 hours is the best daily baseline for the 6-month plan, though as you mentioned this does vary depending on the individual. I am just at the beginning of following this study plan, however I fund the questions are in different order in my 2018 OG from your VIDEO SOLUTIONS for the OG questions you ask to do weekly. The “video solution” link in this study plan directed me to answer explanations in OG 2013?2015? BUT NOT 2018 FOR SURE. Confused. You don’t have it for 2018 do you? I don’t want to use answer explanations in OG because the author of this study plan mentioned some of those explanations are not good. Unfortunately, we don’t have video explanations for the 2018 GMAT Official Guide. We just have the explanations for the guides from 2015-2016. The good news is that– as you’ve discovered– the majority of the 2018 questions also appear in the earlier editions, but numbered in a different order. I recommend using this custom Google search of our Magoosh GMAT forums. After the URL in the search field, just enter the first few words of the 2018 question you’re looking for. As long as it’s one of the many 2018 questions also found in the 2013-2016 guides, it should come up. If you can’t find what you’re looking for, try entering your keywords into this similar custom Google search for GMAT Club may be able to get you some extra explanations there. You may even be able to find some explanations from Magoosh instructors, since our faculty members post to GMAT Club. 🙂 In addition, GMAT Club is in the process of building a complete set of explanations for OG 2018. They have a forum page where they’ve put all of their current OG 2018 links in one place. Is there a pdf format of this study schedule? It will be easy to use with a hard copy. It would be really great if you could publish a formatted variant which could be easily printed out for each week. I have decided to take the GMAT test. Do I have to get every reading material listed above? Do I also need the 1 on 1 tutoring from magoosh? Or the premium subscription is good enough? We strongly recommend getting all of the reading materials listed, if you can. But you can be OK if you don’t use every single one, or if you substitute some of your own suitable reading practice materials. As for tutoring, this study schedule is geared more toward self-study. Tutoring is optional, but a lot of students benefit form it. If you decide to go for a tutor, Magoosh does have a pretty good tutoring team. But again, it’s not absolutely necessary. 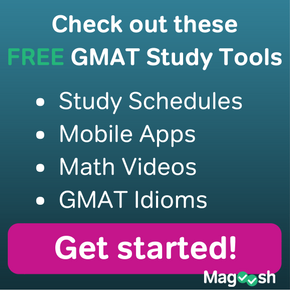 A premium subscription alone will give you access to all of the Magoosh GMAT materials you absolutely need for this study schedule. Does anyone have the contents of this 6 month study plan in a more succinct and legible format? I am thinking of an Excel document or some linear representation where it is much easier to track progression. Hi, I am just starting out on my studying for the GMAT. I am starting from scratch and I would like to follow the 6 month study plan you’ve outlined. I am a complete list maker and before I re-create the wheel… has anyone put this study plan in an easier format to follow & check off each day? Hello, I stumbled upon your 6 month plan. I am planning on starting to study in a few months. Will this plan be updated for the new calendar year? Currently I am on week 8 of 6 month preparation schedule and got stuck on day 6 assignment. Could you please explain what is “GMAC “Paper Test” volumes” in the Take one of the practice GMATs from the GMAC “Paper Test” volumes. The truth is either approach can be good. The first one is better if you are comfortable being self-directed and analyzing your performance to create your own further study after the 3-month plan is finished. The second approach is better if you want to be guided throughout the whole study period and not have to rely on your own design. I am week one into the study guide with no previous experience with the gmat. I am a full time RN and I am finding it difficult to move through all the material in one week. That being said, I do feel like I am learning and understanding content that stumped me prior to joining magoosh. I have made it to the end of the calendar week and still have yet to touch the recommended questions from the book and magoosh, and would also have to go through the answers once complete. Any advice? Is this normal? Or is this an indication that the gmat may not be for me. Hey, just an update since I last asked my question. I tested above average for most verbal but it was the quant that had me stumped. So I have powered through the math as time permits (recently became charge nurse). My schedule as a nurse has me working up to 60+hours a week of usually 12 hour days, where as other weeks I work maybe 24 hours. I have found the formatting for the 6 month study guide doesn’t work for this type of schedule, throw some night shifts in there and I set myself up for failure by feeling I needed to follow the week by week format. But once I let go of this idea I have allowed myself to relax and learn when I can and it is working ! I am posting this as encouragement for any other RN’s out there who feel overwhelmed like I did in the beginning. I am about to start the 6 month study guide. The link in the guide takes me to the 5th edition Manhattan study books, is there much difference between using the 5th edition and 6th edition specifically? For self-study it may not matter so much but it does seem like MGMAT overhauled the verbal guides. MGMAT has two blog posts discussing the changes. See: Updates to MGMAT Quant Guides and Updates to MGMAT Verbal Guides. Do you have any suggestions about how I can modify the 6 month GMAT study-plan to include the materials from the Math Focused 3 month study-plan and materials for the LSAT (Critical Reasoning and Reading Comprehension)? I’m going to take the LSAT and am going to study for it while I study Magoosh’s 6 month-study plan. I already bought the materials for the Math Focused 3-month study plan because I was going to do that plan but changed my mind to the 6 month plan. Do you think the Math Focused materials and LSAT materials will adequately substitute for the Manhattan Strategy Guide Set? I’m willing to buy the set but don’t want to if the other materials will suffice in its stead. We’re actually just beginning our development of an LSAT product and look forward to launching it sometime in 2016. We don’t yet have enough information about how the GMAT study plan would map / overlap / be applicable to the LSAT, but we should know more over the next several months. It sounds like our timing may not align perfectly with yours, but we’ll keep you posted in any case about our LSAT product! Hi! I just started week 4 of the 6 month study plan. The module quizzes suggest that if you get less than 3 of 5 correct that you repeat that module and review. So far I’ve been getting 5/5 on the quizzes, but once I got to integer properties, I totally bombed. At this stage of my studying, would it be better to repeat integer properties until I master it or flag it as a weakness? I am planning to give GMAT exam in 2016. Right now i am doing full time job in an MNC. Can you please tell me how can i fix this plan into my schedule. This is a very thorough plan. Are there any significant differences between the 5th and 6th editions of MGMAT books? Is the chapter order same in both the books? I fully bought into the Magoosh 6-month study plan! My questions is regarding expected time commitment. I have a full time job and am curious whether the study plan was designed for someone who works or someone who is studying full time? What is the estimated time commitment to complete the assignments each week? I understand this will vary for each individual but there IS a large difference in 7 hours/week versus 20 hours/week. Q: Do you have a rough idea when this study plan (and possibly the others?) will be updated to account for the 2016 OG? Does the updated plan affect the plan dramatically or just changing question numbers and distribution among days? Q2: Also, would you say the 6 month plan is a hybrid of the 3 Month Beginner and 3 Month Advance plans combined or would one need to incorporate all the MGMAT books into this 6 month plan for it to really be a hybrid and the most thorough prep/plan possible? I’m happy to respond, my friend. 🙂 The new GMAT study schedules will come online next week. They are radically different in their organization, because (a) the number of Magoosh lessons has changed, (b) the number of Magoosh questions has increased, (c) new sources are incorporated. This plan is not really a hybrid of two different three-month plans: the three-month plans are predicated on a three-month arc of learning, whereas the six-month plan is predicated on a six-month arc. It’s entirely another thing. Hi Mike, thanks for a good source of preparing GMAT. You provide “the GMAC Office Guide to the GMAT (OG13)”, but I find a newer vision “The official guide for GMAT review 2015”, would it be better for studying comparing the “GMAC Office Guide to the GMAT (OG13)” ? I’m happy to respond. 🙂 The short answer is: an OG is an OG is an OG. Actually, the most recent version is the OG 2016. A new version of this study schedule is going to be published soon, and it will reflect the newest version of the OG. Basically, feel free to use any version of the OG with these study plans. If you don’t have one and have to buy one, you might as well buy the newest, but if you own an older one already, use that. Does all this make sense? Hope my question is clear to you. Of course, you will make a number of mistake at the beginning on topics that may not be that familiar. While that’s not necessarily fun, these mistakes can be very productive for your overall success if you learn from them well. See this GRE blog. You are quite welcome, my friend! 🙂 I’m glad you found that helpful! Best of luck to you following this plan and in your future! I’m getting ready to begin preparing for GMAT exam. After searching and reading I’ve decided to start by this 6 months plan, but have a quick question for you. Are there any significant differences between the 4th and 5th editions of MGMAT books? As I really want to add MGMAT series to my studying and already have a full set of the 4th edition. I’m happy to respond. 🙂 The differences between the 4e and 5e of the MGMAT books are minimum. If you have the full 4e set, just use that: it’s perfectly fine. So I’m planning to take the GMAT in May/June 2015 and have roughly 20/24 weeks to prep for the exam. I’m starting with no previous GMAT experience and was hoping you could advise on the proper study schedule. I’ve been considering starting with the 3 month beginners plan and integrating a 9 week in-person Manhattan GMAT class after completing those 3 months. Could something like this work? I am also considering just using the 6 month study plan outlined above without an in person class. What do you think would work well considering my timeframe/experience/study options? Thanks so much for your help here. It’s much appreciated. I’m happy to respond. 🙂 I would recommend following this six-month plan. Because you may have slightly fewer weeks than the plan recommends, you may have to consolidate a little — move through the lesson video modules at a slightly faster rate, etc. If you have the MGMAT books, that’s a cost-efficient way to get almost all of the MGMAT “wisdom” — the in-person class would be considerably more expensive, but the principle value above and beyond what’s in the books would be the discipline and hand-holding support folks tend to feel in an in-person class. If you are self-motivated and able to generate your own determination, you don’t need that. (You want to get an MBA and be a manager, right?) If you master everything in the Magoosh product and everything in the MGMAT books, you would be a GMAT expert: everything you need for flamboyant success is already there. That’s why I recommend the six-month plan. Some courses that i want to apply for my graduate studies need GRE while others need GMAT. I gave my GRE last year and scored 320 (Q 169, V 151). I am taking GMAT this year in early September and am targeting a score of 750+. While going through the 3 months advanced study plan, i found that you have prescribed Manhattan 10 volume series. And as the plan progresses, there is more to do with these books and less of Magoosh videos. I can procure some of these books but getting the entire lot would be very expensive for me. Is there any alternate way? I do plan to get for sure Manhattan SC, CR, IR and even RC (with a little stretch on my pocket money though :P) guides for my verbal prep. And since I find myself very comfortable with Maths, i was thinking to use Magoosh Videos instead of doing Math from these guides, Will that be useful? The other idea i thought was to squeeze the 6 month plan into 4.5 months with 3-4 hour study on 6 days and additional 4-5 hours on the 7th day. I hope i am not overestimating things and hence need your expert advise here. You support is much appreciated. I’m happy to respond. 🙂 First of all, perhaps you have been looking at a few different plans here. This particular six-month plan involves watching all the Magoosh videos twice, and I recommend getting one MGMAT book, simply to get the code for their CATs. If you want to get a few MGMAT books, that’s fine, but in this plan, I didn’t recommend buying the whole set. Also, if you look on GMAT Club, sometimes you will see the MGMAT books sold used for a low price. You will need one new one, for the CAT code, but the others you could probably find used. The Magoosh math videos will give you everything you need — if you also read through the content articles on the blog, that will give you another perspective, which will help to deepen your understanding. I think it’s find to compress this plan a little and fit it in 4-5 months. I would caution you about filling up all seven days of the week — the mind, like the body, needs down time. That’s not a waste of time: it’s actually part of a healthy learning process. If you do study all seven days, make sure that there is also ample rest, relaxation, and just plain fun as part of your week — having regular doses of that refreshment is vital for keeping the mind sharp. Finally, you have an ambitious target score. That’s great. The Magoosh video lessons & questions & video explanations & blog will give you everything you need. It will all pass in front of your eyes. Whether you can take that and get an elite score depends on your ability to focus, to remember, to learn and understand deeply, and to apply in creative out-of-the-box ways. Keep all this in mind as you learn: any half-hearted understanding is simply not enough. You need to know each and everything cold. Thanks a ton for your sound advise. I had been contemplating between 3 months advanced plan and this 6 months plan. But after absorbing what you said, i believe i am very much clear on the study plan i should use. Thank you very much for this plan. I’m planning to take the gmat test after 9 months. I’m gonna start by this 6 months plan and i want really to add the MGMAT 10-volume series to my studying. Is it better to study the MGMAT 10-volume in the 6 months with this plan or study them in the 3 extra months a lone? How much time I need to finish the 10 books? Combining this plan with the MGMAT books is an excellent idea. When to do what? In general, I would say: the human brain best integrates information over time, with repeated exposures. Six hours of studying something in one sitting is not nearly as effective as six one-hour segments spaced over different days. The brain needs time to integrate and process, including the memory consolidation that happens in REM sleep.. Therefore, I would say — work the MGMAT books into the plan — that would involving fitting in about 1/2 a book per week. Going through them at a nice slow rate will give your brain a better chance of absorbing every nugget of wisdom they contain. Perhaps after you finish the books once slowly while going through this six month plan, you can revisit only volumes of that set and Magoosh videos in which you feel you need to get more. My only caution would be — this plan is designed to “climax” at the end: lots of GMATPrep tests immediately before the real test. If you plan to take the GMAT in 9 months, delay a bit the MGMAT CATs and the GMATPrep tests, the two high quality test sources, until closer to your test day. You could fill in with some lower quality tests earlier in the plan, just to practice your test-taking habits. I am planning to give my gmat in July/August 2014 because the applications for colleges will start in the month of september. So i am planning to start with the 6 months course, though i have just 5 months in hand…Please help. Well, it’s easier to add than to subtract, so I will say: pick the three-month plan that works best for you. Start with a month of just watching the Magoosh videos, and maybe doing practice questions you find on this blog and on GMAT Club — the more recent blog articles here will have questions that aren’t in the Magoosh product. Do that for a month or six weeks, and then start the three-month plan from scratch — that way, you will see most of the Magoosh videos twice, which will reinforce your learning, and you will finish close to test time. Does this make sense? Thanks for your answer.Yes,it makes a lot of sense for me.Thanks for your time Mike. I am currently in my UG and have about 8 months to study for the GMAT. I am aiming for at 620-650. How hard is it going to be to get in the mid to low 600’s if I spend at least an hour a day for 8 months? The frustrating answer is: it depends. If you can sit down, take a GMAT cold, and already get a score in this range, then its very easy. If you take a cold GMAT, and get in the 400’s, then getting there will be hard. I would definitely recommend taking a practice GMAT, say in a used book, with virtually no preparation, just to give yourself a sense of your baseline. If a reader were to have a longer time frame, say maybe one to two years, would it be practical to start studying the 6 month plan and redo the magoosh study plan once finished? I personally won’t be taking it for 2 years but I would like to get a head start. What would you recommend the best path be for me? 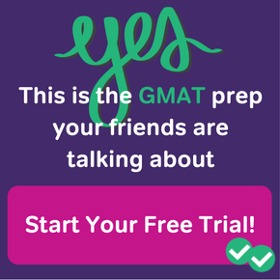 Since you have the time, read through this entire free blog: if you can integrate every tip on this blog, you will be a GMAT superstar. This study schedule is incredibly helpful and I am so grateful to you all at magoosh. I am debating whether I should follow the 3 or 6 month study plan. I am intending to start applications in March 2014. If I follow the 3 month plan I would complete the GMAT before I start applications. This would also give me time to retake it if necessary. However, I scored a mediocre 420 on my first practice GMAT and I think a more in depth study plan (i.e. 6 months) may be necessary. It’s a bit hard to say without knowing your situation, but given that you have plenty of time before application deadlines next year, I would recommend the six-month plan, only because spending more time studying would give you a more thorough preparation. The six month plan, in addition to more practice tests, has more reading and involves viewing the lesson videos twice, with each viewing a few months apart. If you want to do a three-month plan, then maybe another, I would suggest one of the first three three-month plans on the first round of studying, and then if you want more, follow the advanced three-month plan in the second round. Don’t underestimate outside reading as an important part of GMAT preparations. Does all this make sense? That’s an excellent idea. When you say ‘outside reading’ are you referring to magazines, articles, newspapers, etcetera where you can read about real-life quant problems that are applicable to the GMAT (and b-school)? I have 8 of the Manhattan GMAT books. My question is how would I incorporate the Manhattan study material with the 6 month magoosh study guide? This is a 24-week plan, so if you plan to work your way through 1/2 a book each week, that will get you through the whole set easily by the end, even leaving time for a second reading of anything you found difficult. Don’t worry about trying to coordinate MGMAT content with Magoosh content — just read the MGMAT books in any order. Hearing the same concepts explained in different ways at different times will actually help your brain to learn it more deeply. Thank you for the article I do appreciate it. When you say “starting more or less from scratch” are you assuming that I as a student have not done any GMAT prep? Or is there a base knowledge expectation beyond the BA degree and some years on the work force? By “more or less from scratch”, I do mean: starting from a place where you know zero about the GMAT. I assume you have taken an SAT, way back at some point, so you are not brand new to standardized testing, and I assume you have a college degree and some work experience, but besides that, there is absolutely no minimum expectation. That’s where this schedule begins. Does this make sense? Thank you yes it does.